It's easy to connect the dots between Black Friday and Cyber Monday, but did you know that Cyber Monday started as a hangover sale from Black Friday? Retailers noticed that the Monday after Thanksgiving began spiking in online sales. This led to Shop.org whipping out the "Cyber Monday" moniker as a hook to draw in even more consumers and the name stuck. You'll be forgiven if you assume Cyber Monday is just a bunch of tech companies putting their electronics on sale. The truth is actually quite incredible. Cyber Monday is now the biggest shopping day of the year, surpassing even Black Friday. In 2016, Cyber Monday sales were just under 3.5 billion dollars. The sales extend well beyond electronics into every facet of retail, and the best part is that there is no lining up hours ahead of time to push and shove for one of the very few doorbusters retail outlets use to draw shoppers to their store. You can shop in your pajamas! Cyber Monday always falls on the Monday after Thanksgiving. But because the deals can start at 12:01 AM on the 27th, you may be doing a lot of your shopping late on Sunday night. Is Black Friday or Cyber Monday Better? Don't expect to get the best deal on electronics just because it includes the word 'cyber.' While Cyber Monday is exclusively an online shopping day and will definitely have some good deals on tech, Black Friday is still a great day to buy gadgets. Equally surprising, Cyber Monday is a great day for fashion. And as you might expect, Cyber Monday also includes deals such as free shipping that you wouldn't ordinarily see at brick-and-mortar stores hosting a Black Friday sale. Twitter can be a solid way to find deals. Use the Search function on Twitter by entering #CyberMonday to learn all the buzz around the best deals. If you're looking for something specific, say, Cyber Monday TV sales, push the words together, add a hashtag to the front and see what shows up. You'll need to be attentive; #deals come and go quickly. Find your favorite brands on Instagram to see if they post any deals. Use the same methods from Twitter and Facebook to ferret out a great price on a product you want. Prior to Cyber Monday, consider subscribing to newsletters from your favorite brands or retailers to catch deals. Many will offer at least a first-time email subscriber discount; others use the medium to communicate specific sales and pricing for members of the newsletter. Keep in mind that all of these newsletters you sign up for and brands you start to follow could add to a number of emails and targeted ads you might see. You might find it to be a fair trade, but it's something to consider. Don't be afraid to unsubscribe as soon as the deals are gone. Do Buy: Clothing and beauty products are often ranked as the best deals on Cyber Monday. Vacation packages and travel deals are also among the best. Electronics tend to be a bit more hit-or-miss with Android-based smartphones and Windows-based laptops generally having better deals on Cyber Monday. Don't Buy: Household appliances. These products usually have their best deals on Black Friday (or Thanksgiving, as many retailers' Black Friday sales are now creeping into Thursday). And while Apple may get into the spirit of Cyber Monday more so this year than in years past, their smartphones and tablets may still be best bought on Black Friday. Speakers, such as those cool Sonos smart speakers, tend to be better deals on Black Friday, and while Cyber Monday is great for clothes, Black Friday is great for shoes. As with any sale, always remember to comparison shop. This is especially true during so-called Flash sales. Just because something has a great discount from the manufacturer's suggested retail price (MSRP) doesn't mean it's a great deal. The only real purpose of MSRP is for retailers to use it when convincing you they have a great sale going. Because Cyber Monday happens online, you can easily double check prices. Amazon is a great place to verify a good deal. If you can get it just as cheap on Amazon, you aren't saving much on Cyber Monday. If you miss all the sales on Black Friday and Cyber Monday, don't despair. The second Monday of December is typically the cutoff date for guaranteed shipping dates during the holidays. 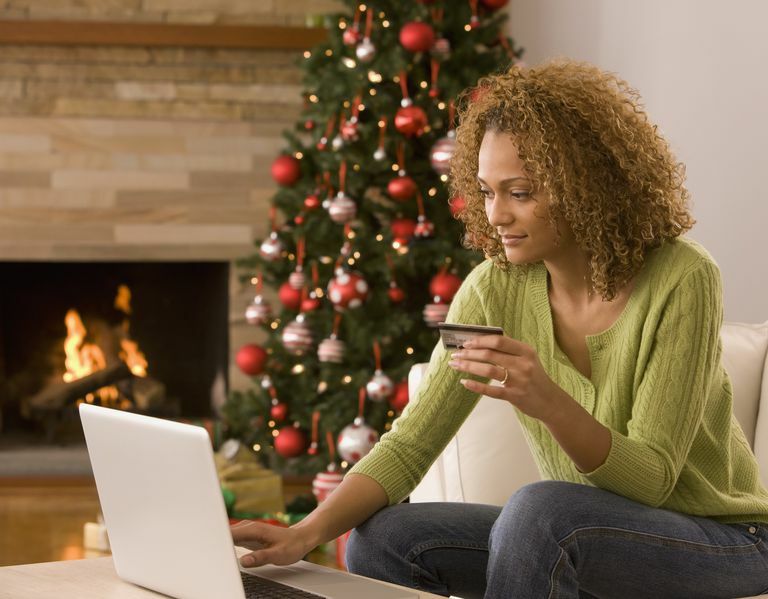 Called Green Monday, it's a great day to take advantage of more cyber sales. Cyber Crime - What Is It? When Is the Best Time of Year to Buy a TV?